Kolstein Rosins are specifically formulated for each instrument, offering strong, even adherence, long lasting power, and extremely low powdering. It has an indefinite shelf life made possible by a continual wetting agent in the formula which prevents crystallization, permitting easier application and minimum powdering while playing, and also prevents the rosin from drying out with age. Upon analyzing the rosin situation of the modern day violinist, violist, cellist and bassist, it became apparent that the need for a consistent rosin specifically formulated for each instrument was greatly needed. 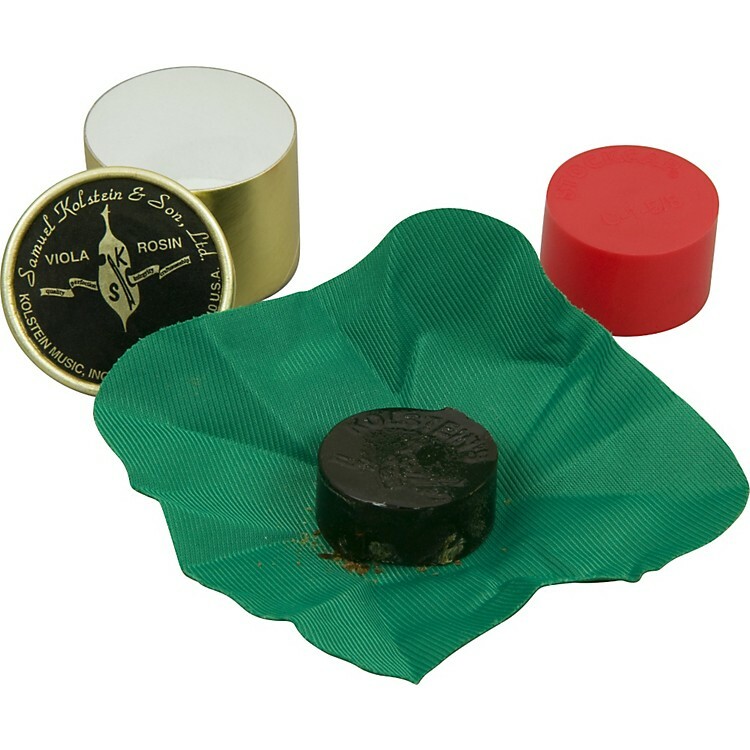 Prior to the development of Kolstein's Formulation Supreme Rosins, rosin was generically made for all instruments with players being forced to use rosins which were not formulated with the individual instrument's requirements. For that matter, the violin, viola, and cello players were using identical cakes of rosin. Kolstein's Formulation Supreme Rosin has corrected this problem so that each string player has the option of having not only their own specifically formulated rosin. exact measurement of the finest ingredients in strict accordance with the developed Kolstein formulas. pouring into silicon molds to ensure uniform hardening and avoid thermal cracking. adhering to a required minimum curing period for pre-determined time. Kolstein's Formulation Supreme Rosin has truly answered the need of the discriminating player who is striving for a specific formulation of rosin to compliment their bow and instrument, offering strong, even adherence, long lasting power, extremely low powdering combined in a richly textured blend of rosins. Kolstein's Formulation Supreme Rosin has corrected this problem so that each string player has the option of their own specifically formulated rosin.